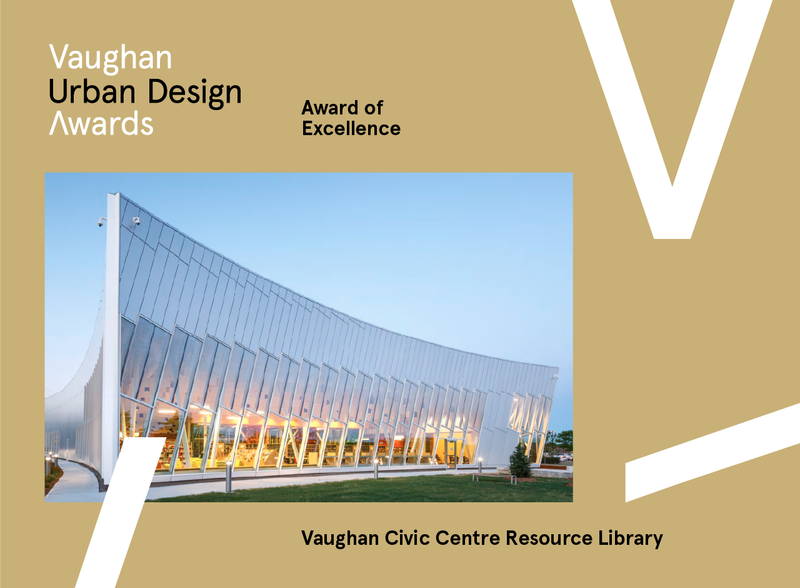 Located just north of Toronto, Vaughan is one of the fastest-growing municipalities in Canada, transforming into a multicultural suburban centre. 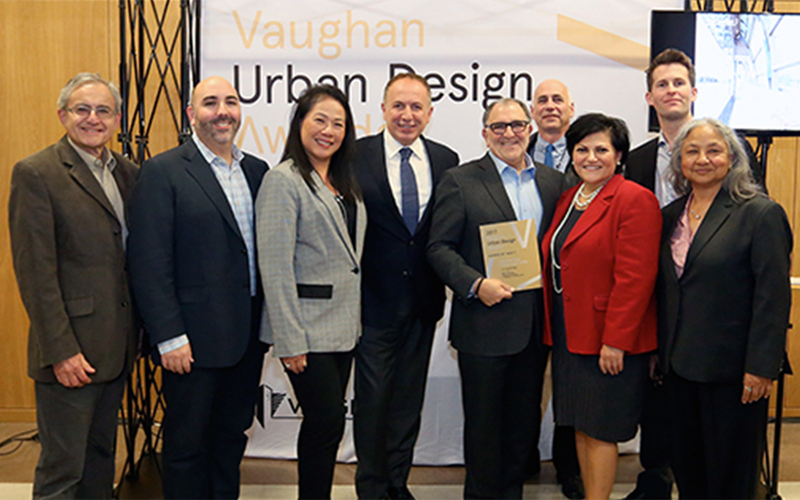 To recognize local development initiatives that contribute to this transformation through urban design, architecture, landscape architecture and environmental stewardship, the City established the Vaughan Urban Design Awards. 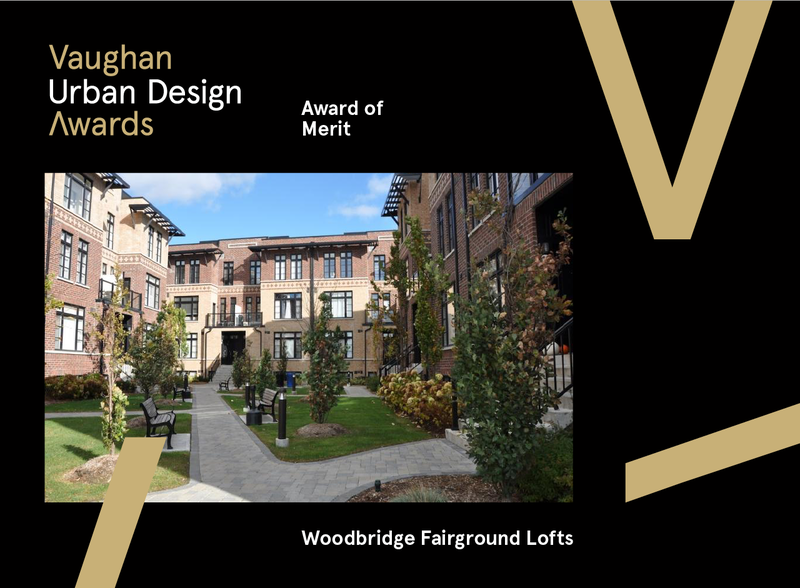 Award-winning projects enhance quality of life and make Vaughan a great place to live, work and play. 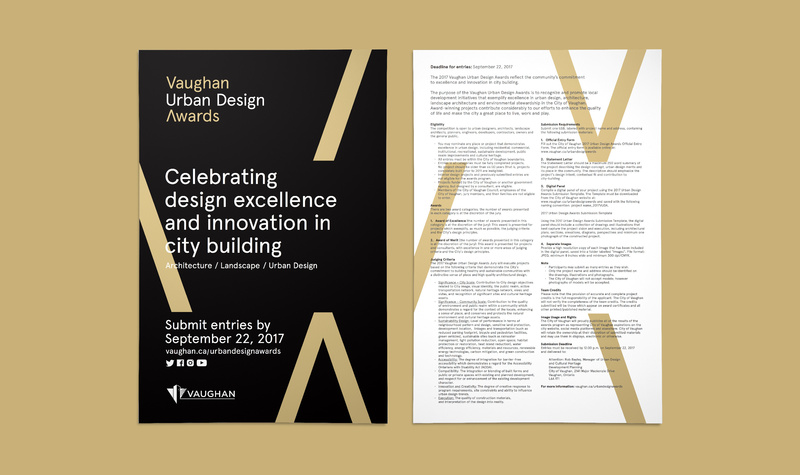 Working with the City on the 2017 awards campaign, we developed a visual identity and collateral to attract high-calibre entries and to promote the awards gala. 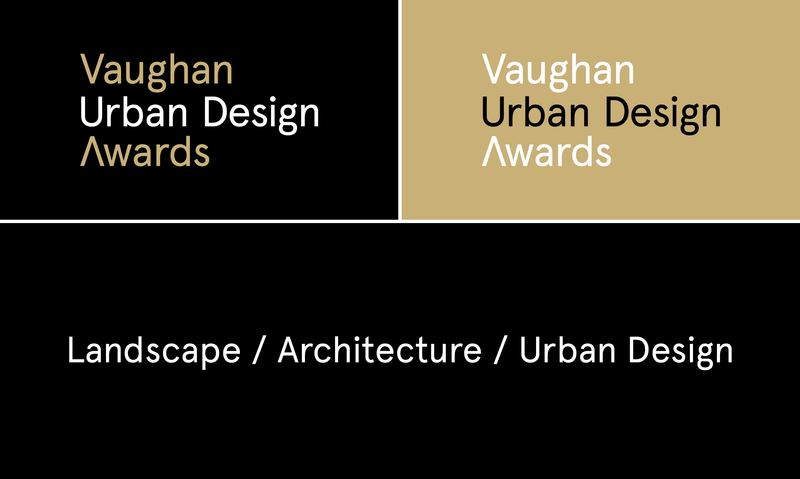 In the wordmark, the mirrored triangular forms of the ‘V’ and ‘A’ point toward ‘Urban Design’. The supporting visual system remixes these two characters in modular compositions that reference architectural forms and the rhythm of the city. 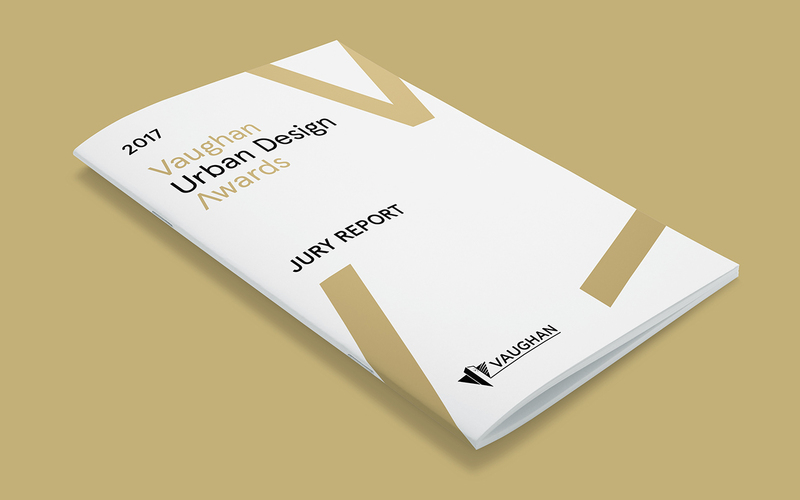 The elegant colour palette of black and gold evokes the prestige of the awards. 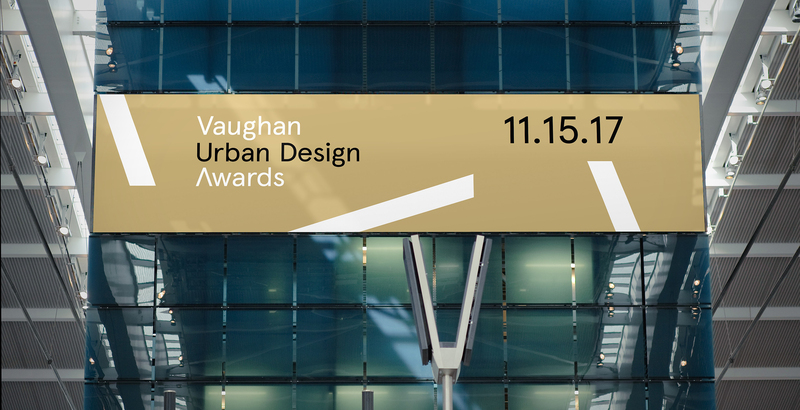 The new look for the Vaughan Urban Design Awards has helped the municipal government to raise the profile of urban design in Vaughan while demonstrating its commitment to innovation in city-building, ultimately shaping a better city for all.